The Kong Company (stylized as KONG) is a global organization based in Golden, Colorado, and was established in 1976 after founder Joe Markham began experimenting with various dog toy designs. He has since grown the company into the worldwide powerhouse it is, with KONG continuing to evolve and deliver on its commitment to manufacture quality toys and treats for both canines and felines. The software tools and processes that worked well for KONG at one time were being challenged as KONG experienced growth. When it came to KONG’s warehouse and distribution centers, being able to maintain an accurate count of inventory was becoming increasingly difficult. Using its old system, KONG would perform very few cycle counts due to the time involved in counting. This would result in inaccurate inventory records. Inaccurate inventory, no matter the industry environment, will have a significant negative impact on a business – indeed, the more accurate the inventory process, the more successful a company will be. Learn the true impact inaccurate inventory has on a business and how to turn it around to be more competitive. KONG has grown as a company that encompasses worldwide distribution centers, and as such has outgrown its previous system consisting of QuickBooks accounting software, Microsoft Excel spreadsheets and paper-based processes. While KONG’s head operations in Colorado would normally manage the inventory levels at all their remote locations, a lack of visibility into the company’s global distribution centers made it difficult to know the exact status of each remote location. Distribution centers, for example, would end up carrying more stock than necessary because there was little visibility into real-time inventory levels; KONG’s head office would offset this lack of data by overstocking to eradicate any fears of not being able to fulfill some orders. Additionally, warehouse and inventory management was time intensive where inventory counts would often take an entire year to complete, with reconciling and resolving count errors becoming a daunting manual process. The staff would count 1/12 of their bins a month, which would take approximately 16 hours, and this further reinforced the growth challenges the company faced with regard to inaccurate inventory. The task of receiving stock also exhibited inefficiencies as distribution centers received container-loads of goods; an entire container needed to be received and put-away before picks could be done, and this process resulted in the delay of order shipments. What’s more, KONG’s current internal processes made onboarding of new staff time-consuming and complicated, often taking up to two weeks of training in order for staff to perform inventory counts. Put succinctly, while KONG’s current software and processes worked well at one time, they are unable to keep pace with the growth of the company. 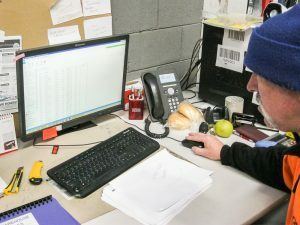 KONG integrated Insight Works’ Warehouse Insight and Advanced Inventory Count add-ons for NAV, replacing its homegrown ERP system with Microsoft Dynamics NAV. NAV coupled with the Insight Works’ add-ons ended up being the perfect fit, yielding all the warehouse management system functionality KONG needed and wanted. To complement the integration, Insight Works procured Datalogic Falcon X3+ handheld mobile computers, providing KONG with a tailored solution for demanding environments requiring real-time transaction visibility. These mobile computers ran Insight Works’ Warehouse Insight and Advanced Inventory Count modules helping connect NAV to KONG’s warehouse floor for inventory counts, picks, put-aways and more. Warehouse Insight brings mobile device integration to a warehouse setting, while Advanced Inventory Count simplifies inventory and cycle counts with comprehensive data entry, reconciliation, posting and analysis tools. Because KONG products are pre-packaged for retailers, everything already had barcodes – the Insight Works NAV add-ons made it simple to add scanning capabilities to the new NAV ERP environment. Barcode-enabled pick lists and the ability to create barcode labels for bins rounded out the process, with KONG’s remote operations now being able to access Microsoft Dynamics NAV via Citrix desktop virtualization. 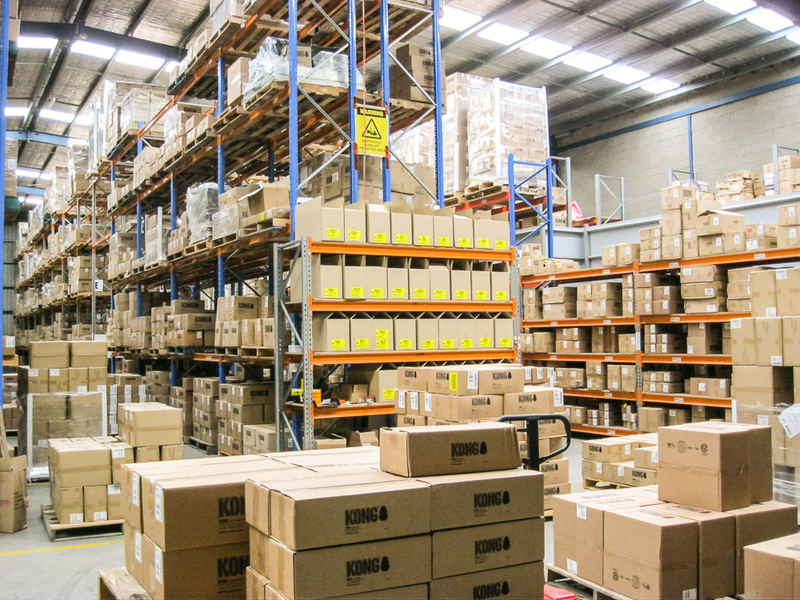 The new ERP solution was initially rolled out at KONG’s Australian distribution center located in Dandernong South, Victoria. The test phase proved successful and plans are underway to roll out the solution globally to KONG’s entire operation network. 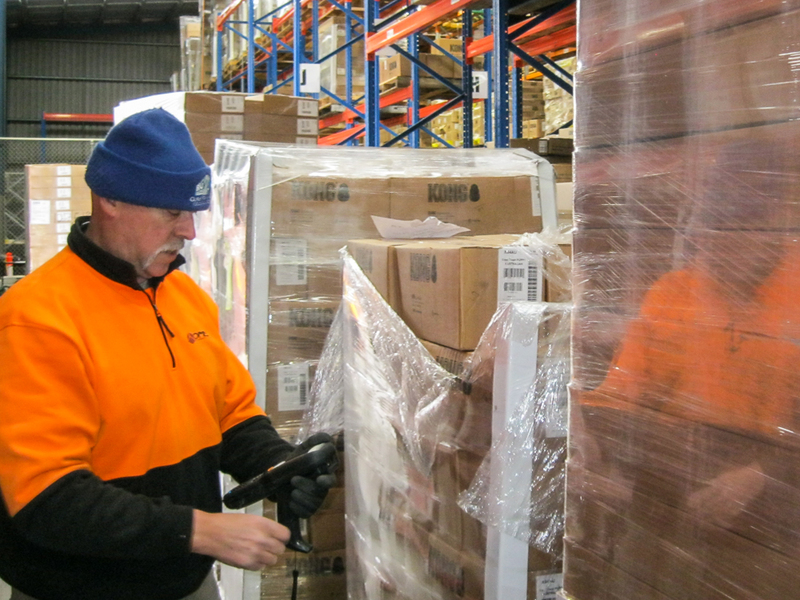 Stuart Robertson, KONG’s Warehouse Manager in Australia, was tasked with testing and using Microsoft Dynamics NAV within a live environment. Counting 900 bins using KONG’s previous system required 144 person-hours (18 work days); using the add-ons from Insight Works, the same number of bins were counted in 12 person-hours (1.5 work days), saving 132 -person hours and reducing count time by over 90-percent. Because cycle-counts could be performed quickly, KONG was now able to institute weekly cycle counts resulting in maintaining accurate inventory levels. The Insight Works solution enabled KONG to increase inventory management efficiencies. Significant labor cost-savings were realized, staff time was re-allocated to more productive tasks, customer satisfaction increased and capital resources were used more efficiently. Ability to efficiently perform weekly cycle counts. Ability for multiple people to simultaneously perform inventory. Significantly reduced counting errors using handheld mobile computers. Count error details corrected quickly with real-time dashboard reporting. Reduction of “orders shipped” delays. Reduction of inventory levels due to head office visibility into real-time metrics. More accurate and timely shipments. Quick staff onboarding via the user-friendliness of the Insight Works’ add-ons. For more information contact Insight Works at (866) 440-7543 or visit www.DMSiWorks.com.